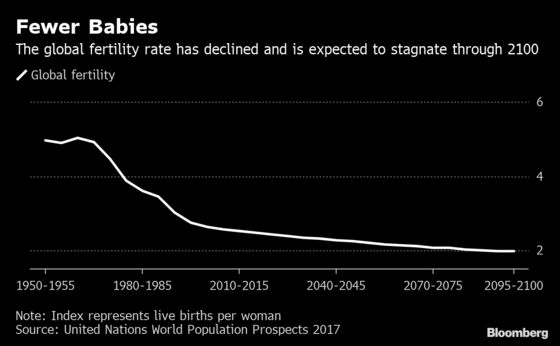 (Bloomberg) -- After spending more than a century selling baby formula, Nestle SA realized it’s neglected another potential customer: mom. The Swiss food giant is expanding its offering for expecting and lactating women to add products that it says will help reduce health risks related to motherhood. The business could generate $500 million to $1 billion in 10 years, according to Thierry Philardeau, head of Nestle’s nutrition business. That’s up from about $80 million now. Such products could broaden Nestle’s reach to mothers who don’t buy its infant formula, offering growth opportunities in a market that’s vulnerable to the slowing pace of births in much of the world. Chief Executive Officer Mark Schneider is pushing to expand the company’s fastest-growing businesses, which also include coffee and pet food, while scaling back in sluggish areas like packaged meat and candy. In baby food, Nestle is the market leader, with 20 percent of the $82 billion business, according to Euromonitor International. 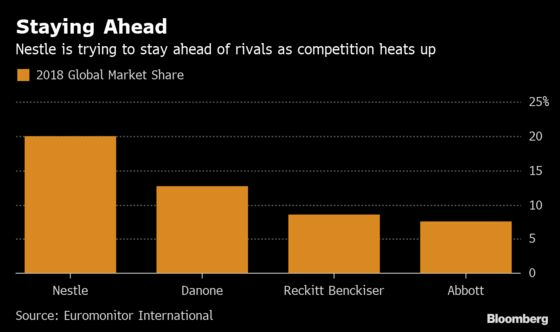 But competition is heating up among the Swiss company, Danone and Reckitt Benckiser Group Plc, which acquired Mead Johnson in 2017. New Zealand-based upstart A2 Milk Co. has been gaining ground in they key Chinese market with a type of infant formula that’s easier to digest, which has prompted the Swiss company to follow suit. Malnutrition and obesity in pregnancy increase the risk of a long list of health issues for offspring, including diabetes and cardiovascular disease, according to the World Health Organization. Convincing mothers of the benefits of supplements is the biggest challenge, Philardeau said. 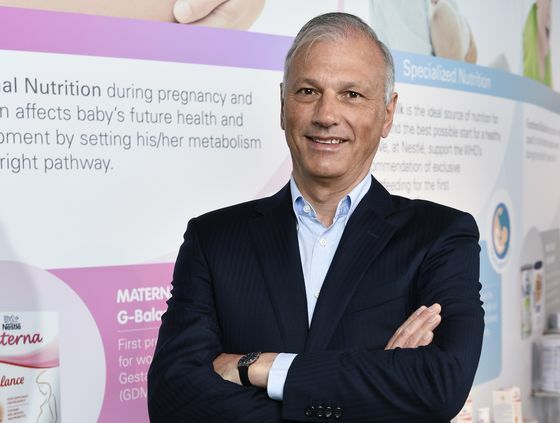 Nestle is meeting with gynecologists and pharmacies and is boosting its sales force. Chloe Yang, a 30 year-old auditor from Guangzhou, China, took Nestle’s Materna multivitamins during her pregnancy two years ago because they were given to her for free by health-care providers in Hong Kong. “I felt a bit skeptical about whether I really needed so many different vitamins, but I still took them because so many people, including the doctors, recommended it,” Yang said. While Nestle may be the first multinational baby-food maker with big plans to push into the segment, the niche is already occupied by smaller, often local competitors. In Asia, China Mengniu Dairy Co. and Japan’s Otsuka Pharmaceutical are among the makers of powdered milk formula for pregnant women, while Europe and America count scores of prenatal-vitamin brands. Nestle bought one such vitamin maker, Garden of Life, in 2017 when it acquired parent company Atrium Innovations for $2.3 billion. It’s shifting into higher gear after that purchase, and could take advantage of Atrium’s distribution network, according to Alain Oberhuber, an analyst at MainFirst Bank. 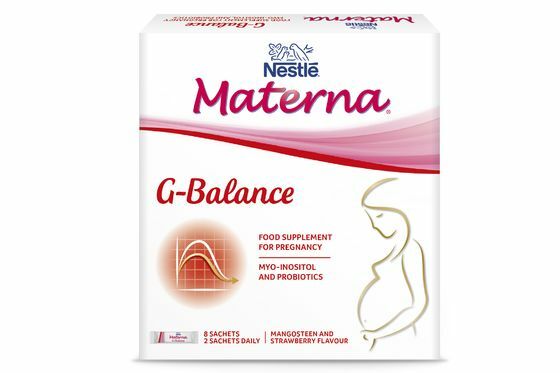 Nestle’s range for pregnant women and mothers is already available in Mexico, Canada and China. It’s adding other Asian markets, bringing the total number of countries to 12 this year and aiming for 25 within five years, Philardeau said. That compares with 109 for Nestle’s infant formula. “We’re planting the seed, we’re building the foundation of the business,” Philardeau said.